Great investment opportunity! 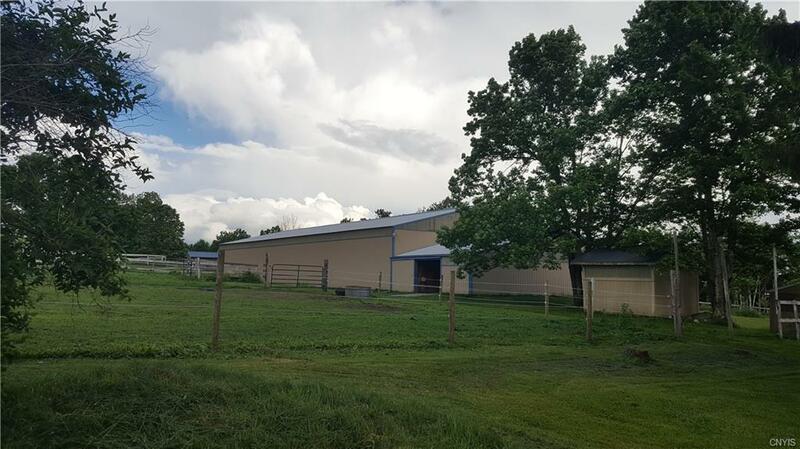 26 Acre horse farm on 2 parcels. 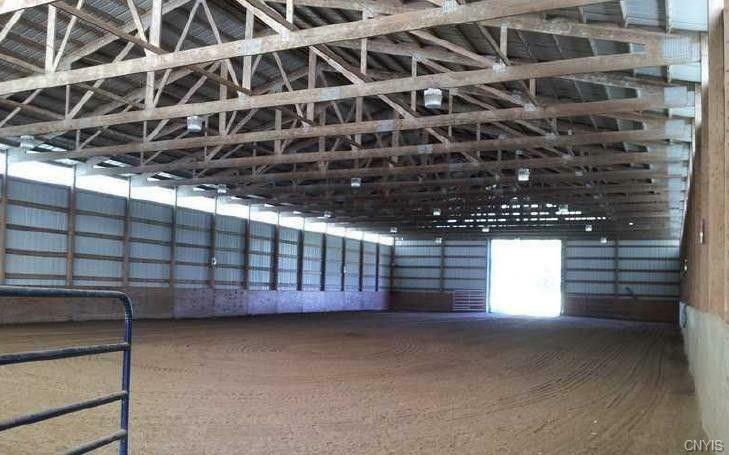 9 stall main barn w/heated tack room & bathroom, attached 60x140 in-door arena. 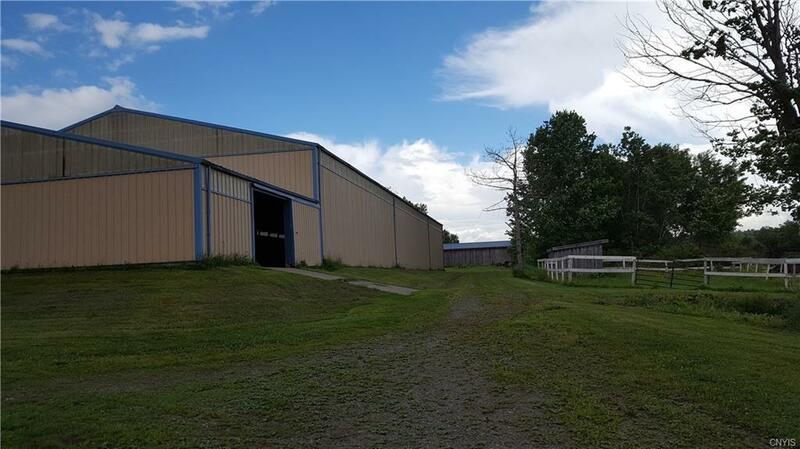 2nd barn with 6 stalls, tack room, and third building that could be heated shop or store. 24x50 hay/machinery barn. 5 acres of turn out, 5-fenced pastures & 2 run ins. 80x200 outdoor ring. 13 of the stalls are currently rented to a trainer making your payments very affordable. Barns are set back from the road w/a separate drive for the 2car garage and 3 bedroom 1.5 bath house that has many recent updates. Lot includes 12 acres of woods, 4 acre hay field. Near state lands and miles of trailriding. 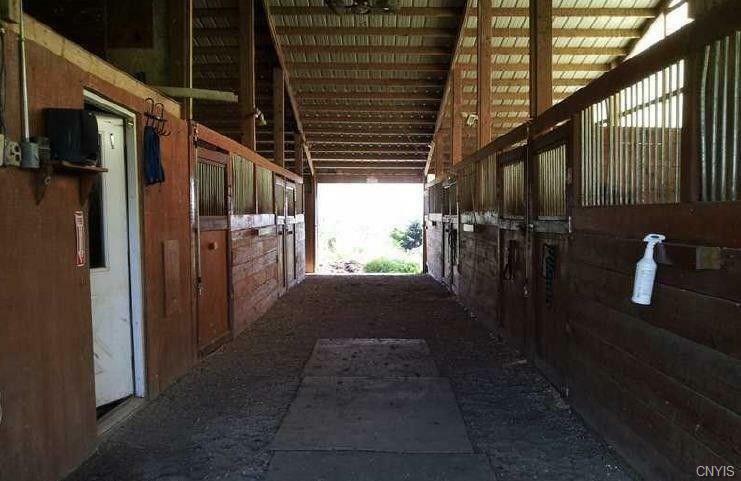 Great horse farm for boarding, training, breeding, or hobby. Quiet road but very close to route 12 and 20 minutes from Norwich or Binghamton.